The extensive and growing use of snares to supply the burgeoning bushmeat market is resulting in the indiscriminate slaughter of wildlife, including Asian elephant calves and other species injured and killed accidentally in wire traps set for other animals. Groundbreaking research commissioned by Fauna & Flora International (FFI), the first of its kind in Cambodia, has paved the way for a behaviour change campaign to reduce consumption of wild meat. The research has provided vital insights into the phenomenon of bushmeat consumption, shedding light on who eats what, and why. Bushmeat consumption in Cambodia is not driven by the subsistence needs of impoverished rural communities, who typically rely on fish as their main source of protein. In fact, it is mainly a recreational activity associated with male-dominated gatherings of friends, work colleagues or family members. The practice is linked with peer pressure, social status and – among the elite – the perceived health benefits of eating wild rather than farmed meat. Almost half of the 24 different wild animals mentioned by the Phnom Penh citizens interviewed during the research stage of the project are threatened with extinction. 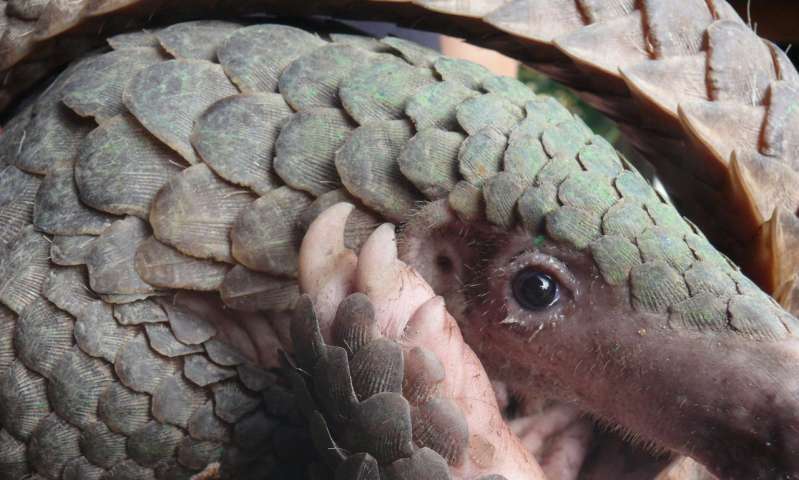 Several, including the Sunda pangolin – the world's most trafficked mammal – are officially categorised as Critically Endangered on the IUCN Red List. Many of those interviewed were oblivious to the fact that some of these animals are on the brink and saw no reason why a previously plentiful resource shouldn't continue to be readily available. Some of the more knowledgeable consumers are well aware of the increasing scarcity of certain species, but actually regard this as an essential part of their appeal; the prevailing attitude in this case appears to be 'Buy now while stocks last'. FFI and its local partners are among the many organisations working to protect Cambodia's threatened species and habitats through a combination of community engagement, anti-poaching measures and support for improved law enforcement. 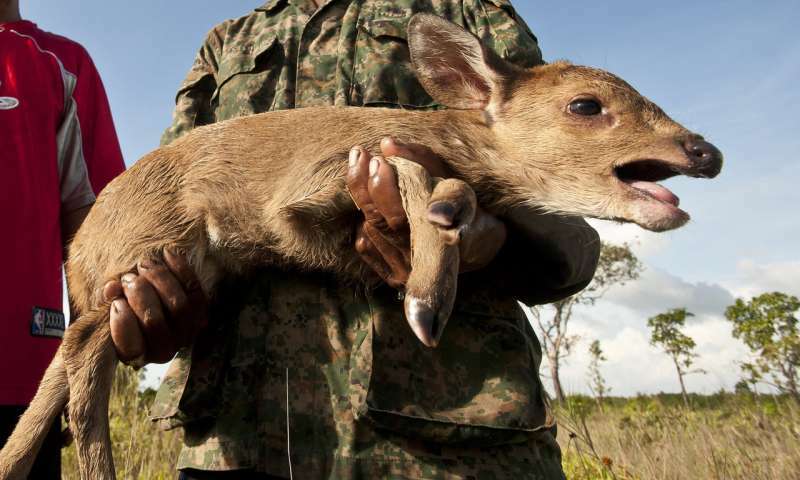 But there is increasing recognition that interventions such as snare removal and prosecution of individual poachers have limited impact in the face of demand-driven commercial hunting. 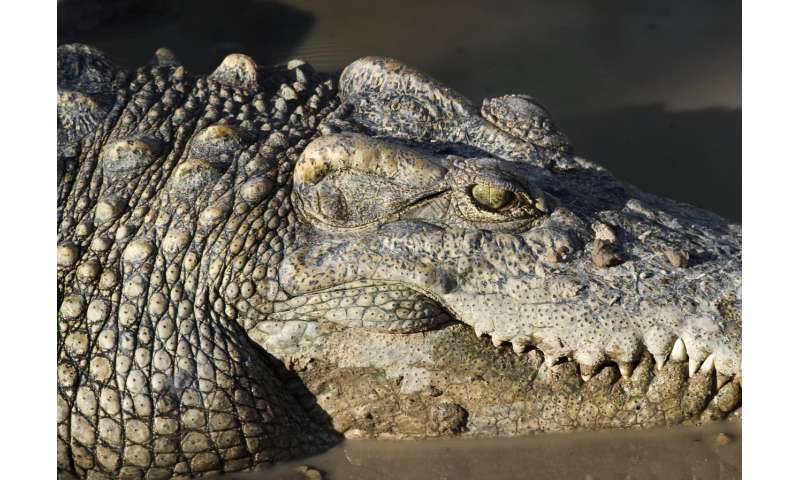 The authorities' capacity to tackle organised, large-scale wildlife crime is constrained by a shortage of resources and, in some instances, by corruption. Until now, there has been no real attempt to tackle the problem from a consumer perspective in order to reduce demand for wildlife products in Cambodia. Having identified this gap in the market, FFI is formulating a consumer-focused strategy to complement other, more traditional, approaches to combating illegal wildlife trade. The main target for these activities will be regular consumers in Phnom Penh. The research techniques employed in compiling the report have been widely utilised in the private sector but are relatively untried in a conservation context. FFI's Flagship Species Manager, Jackson Frechette, has no doubt about the value of the research: "The findings will be crucial in enabling FFI and partners to decide how best to communicate with the different categories of consumer in order to bring about a change in attitude towards their country's rich and valuable natural heritage."